Works selected from the 2017 Call for Scores by Neil Brandt, Ben Davis, D. Edward Davis, Yu Kuwabara, Tosh Malloy, Jeff Morris, Philip Schuessler, Manfred Stahnke. Join us for three lectures on very different approaches to microtones on the guitar. Critically acclaimed Turkish musician and inventor of the adjustable microtonal guitar, Tolgahan Çogulu leads a workshop on microtonal music. 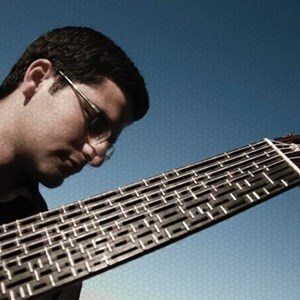 The first prize winner at the 2014 Margaret Guthman Musical Instrument Competition, Tolgahan Çogulu, designed his “Adjustable Microtonal Guitar” in 2008. 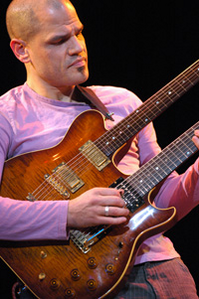 Do not miss this special presentation where Tolgahan will explain his unique guitar design, his process of commissioning and performing music as well as his approach to a wide variety of microtonal tuning systems. This event is presented by the Intercultural Institute in collaboration with the Boston Microtonal Society, and is free and open to the public. • Historic uses of the string and different possibilities to use microtones on the guitar. • Practical problems with different microtonal guitars. Gallery of microtonal guitars. • The guitar in sixths of a tone. Advantages and disadvantages of tuning in sixths of a tone. Personal decisions of the composer. Examples from solo to sextet. • Notation: Transcription or tablature? Advantages and disadvantages of the different notation ways. 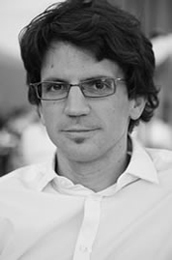 Agustín Castilla-Ávila, vice-president of the Austrian Microtonal Society (International Ekmelic Music Society), worked as a composer in Europe, Asia and USA. His music was conducted by D. Russell-Davies, J. Kalitzke, T. Ceccherini, A. Soriano, H. Lintu and H. Schellenberger among others. He has written solo and chamber music, orchestral, theater plays, choreographies and five chamber operas. He has published for Doblinger Verlag, Joachin Trekel and Bergmann Edition. In 2013 he received the Music Price (Jahresstipendium) from the Region of Salzburg. This event is presented by the the Boston Microtonal Society in collaboration with the New England Conservatory Theory Department, and is free and open to the public. Guitar shredder, researcher, composer, and winner of a Guggenheim Fellowship, David Fiuczynski explores the microtonal universe like few others. Fiuczynski will discuss his microtonal guitar and techniques, and his recent CD Flam! Blam! Pan-Asian Microjam!—jointly dedicated to 20th century classical composer Olivier Messiaen and innovative hip-hop record producer J Dilla. 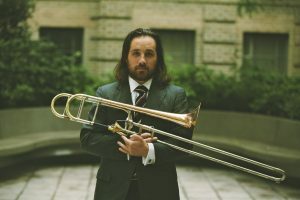 Over the last ten years Fiuczynski has explored music widely with the goal of furthering guitar language, technique, and technologies by incorporating foreign music traditions, harmonies and styles to create a unique idiom that transcends them all.